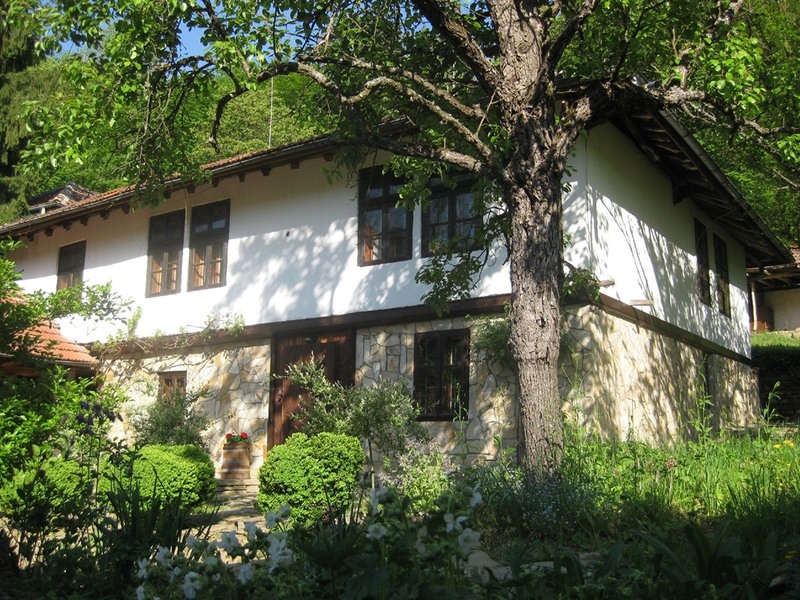 Located on the edge of Boynovtsi village, Gabrovo, Bulgaria, and situated in a beautiful river valley with meadow and wooded mountain views – perfect for walking, cycling and bird watching – Little River Guest House welcomes you all year round. 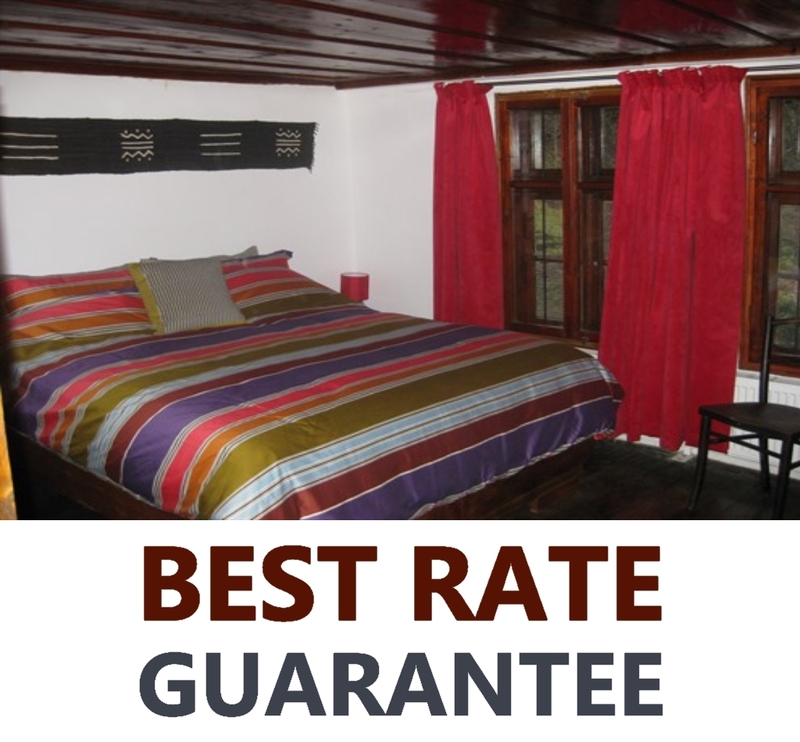 Little River Guest House is close to many places of interest including: Lyulyatsite national park, and Bulgarka Nature Park, Etara, Sokolski and Dryanovo Monasteries, Shipka, Buzludzha, and the towns of Gabrovo, Tryavna, Dryanovo and Veliko Tarnovo. Uzanna ski resort is 30km away. We have five guest rooms, each with their own bathrooms. In the old farm house we have a romantic double room with luxury ensuite bathroom and fire place. A large double en-suite room with a lovely view of the garden and a twin room with its own bathroom and view of the cobbled courtyard, gatehouse and wooded hillside beyond; which together make a perfect family suite. Upstairs in the Gatehouse across the courtyard we have two en-suite rooms, one double and one twin. Both rooms have dual aspect and lovely views of the meadow and the mountain. Again these make an ideal family suite or a perfect getaway for a group of friends. Rooms are decorated to enhance the character of the 200 year old building and are en-suite except for one which has its own private shower room.All rooms come with luxury bedding, summer and winter duvets, pocket sprung and memory foam topped mattresses, a wardrobe, drawers, dressing table and mirror, and somewhere to sit. Towels, complementary toiletries, hair dryers, and refreshment making facilities are standard. All room rates include breakfast. Evening meals, lunches and packed lunches are available at a small additional cost. Click on the Dining tab for more details and downloadable sample menus. Our large landscaped garden is a work in progress, and already has lots of areas with views to the countryside beyond. These include a wood fired hot tub, a covered terrace, fire pit, woodland walk and secret seating areas.